As we move forward into the year, we will be attempting to do monthly updates from everything BVEStation to BVE to even other simulators that you may be interested in, so you always get the latest updates! First off, if you have been following us on Facebook, we've given updates on the Q. DJ Hammers and Mr. Railfan have been working tirelessly on it, and it appears a beta is coming in the near future. As always, we can never guarantee any release dates, but you will be notified on BVEStation when that happens. Recently we've had a new member mrsam127 begin working on LIRR routes for OpenBVE. This is a first, as we've had many LIRR trains, but no routes. Keep an eye out on the forum for these updates! The old BVEStation Forums has now been re-archived, in a simple format for fast browsing. You can visit it by clicking on the forum homepage at the bottom. 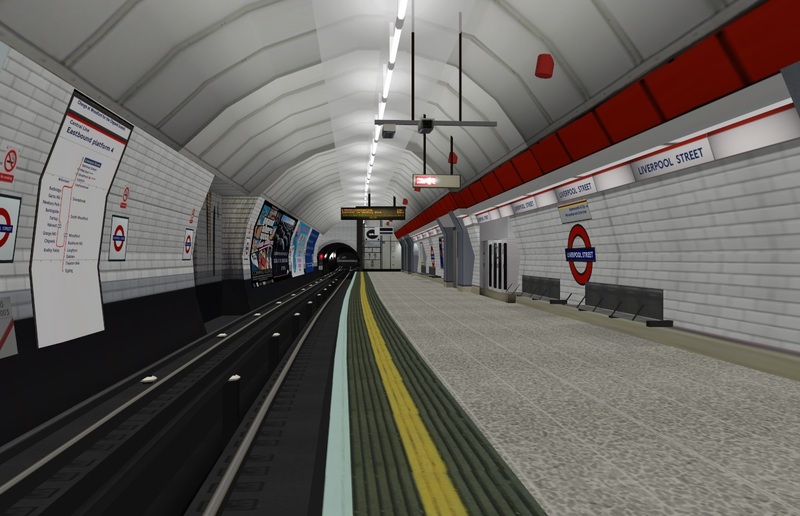 One of our members posted a link to the London Underground Central Line, a highly detailed route, with realistic train and safety systems for a more realistic experience. The learning curve on the train is slightly higher than what we typically have for content on BVEStation, but do stick with it, as these systems make the experience more enjoyable, especially once you get the train moving. Read the instructions carefully, and don't give up trying. As for the route overall, its great, and is one of the best London Underground routes out there in my opinion. If you have any updates, news or routes you like to share, please feel free to post it in the forums. It may even make it to next month's updates. BVE Station is getting very active and is expanding. The new look is fantastic and the items forth coming are great! Keep up the great work!